Russian Helicopters has delivered three new helicopters equipped for medical evacuation missions to Russian operator SKOL Airlines. 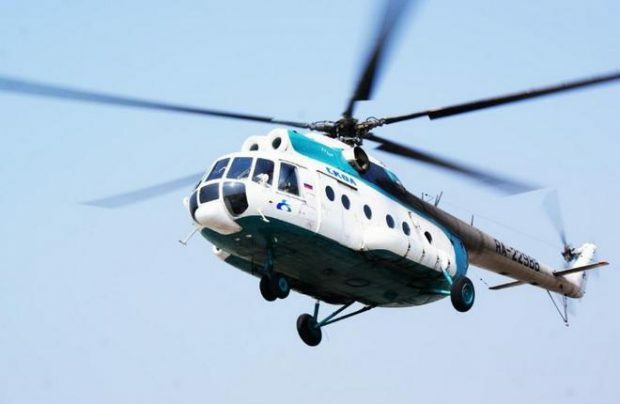 The aircraft will provide medevac services in Khanty-Mansiysk Autonomous Okrug and other regions, the manufacturer reports. The aircraft were delivered to the operator via GTLK State Transport Leasing Company. The contract covers Mil Mi-8AMT and Mi-8MTV-1 heavy twin helicopters. Medical modules which can accommodate two patients. They are equipped with oxygen systems, reanimation equipment and in-built electric system. The modules may be installed and uninstalled in less than 15 minutes. The operator received the previous batch of two Mi-8MTV-1 helicopters in June 2017. GTLK finances helicopter deliveries within the framework of state program for development of medical aviation in Russia. Earlier the lessor signed two contracts for delivery of medevac helicopters. One – for 29 aircraft to be delivered in 2017 and the second for 31 helicopters scheduled to arrive within 2018. GTLK has also recently announced a Letter of intent for three medical Ansat light helicopters to be delivered to SKOL. Surgut-registered SKOL operates a fleet of four Mi-26Ts, two Airbus Helicopters H125, five DHC-6 Twin Otter 400s, two Сessna 208B Grand Caravans, two Mi-171, ten aircraft of Mi-8 family and a Yak-40 jet. It has recently placed an order for another Mi-26, outside of the medevac program.